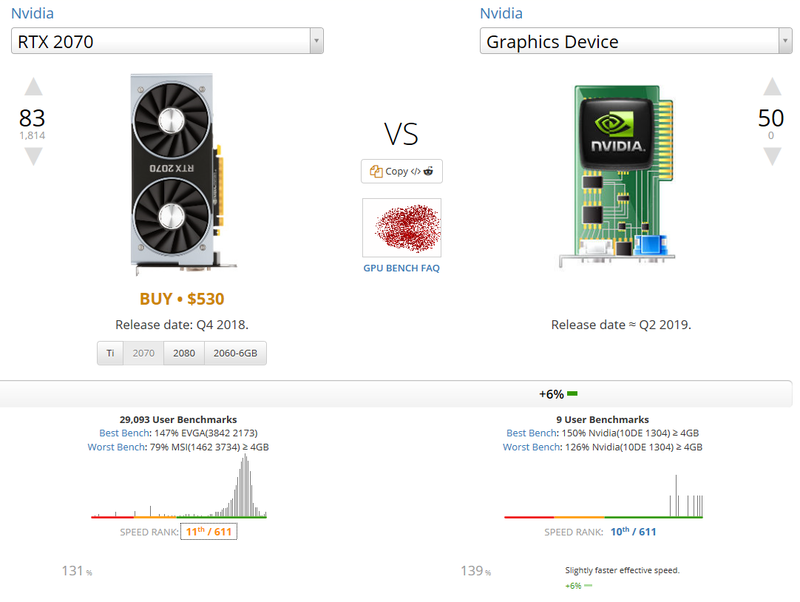 An Nvidia graphics card has turned up on UserBenchmark with the prosaic name “graphics device”. The results in the benchmarks for the hardware are somewhat surprising, as the GPU seems to land somewhere between the GeForce RTX 2070 and RTX 2080 in terms of performance average. There was mention of a GeForce RTX 2070 Ti once before, but this was eventually explained away as a typo. A new product has recently appeared on the UserBenchmark site with the title “Nvidia Graphics Device” and device code “10DE 1E37” (and in some cases, “10DE 1E34”). The graphics card has been apparently thoroughly tested and has done very well for itself, with an average effective 3D speed bench of 139%. To give that mark some context, AMD’s Radeon VII scored 143% and Nvidia’s GeForce RTX 2070 managed 131%. Unsurprisingly, few details are offered with the post to help deduce what the GPU could be. There is a release date of Q2 2019 offered, though. The GeForce GTX 1650 is expected to be released soon and there is even rumor of a Ti variant. But there’s no way a card with the alleged specifications of the GTX 1650 could score so highly; even the GTX 1660 Ti only had an average mark of 91.4%. 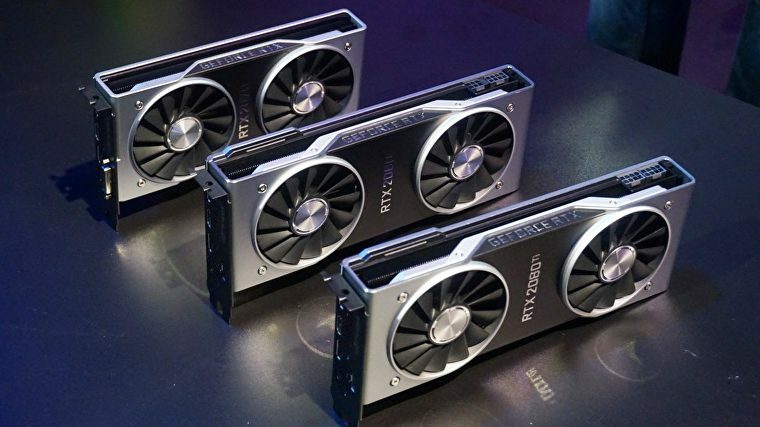 As mentioned above, there was a short-lived rumor of a GeForce RTX 2070 Ti model, which would fit in quite well with the performance of the mysterious “Nvidia Graphics Device.” But this was dismissed rapidly by Gigabyte, explaining it was simply a typo by the company. “TU2XX” has also been whispered, which has been linked with 7nm Turing in the past. However, it’s widely believed Nvidia’s 7nm GPUs will be based on the Ampere microarchitecture. A RAM amount of 7.5 GB is detailed, but the GeForce RTX 2070 and RTX 2080 came with 8 GB, while the RTX 2060 offered 6 GB. So something very interesting from Nvidia just popped up on UserBenchmark – and if the release date is accurate we should find out what this mysterious GPU actually is without having to wait too long.